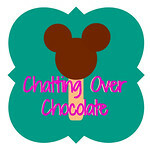 Chatting Over Chocolate: Five Loves on Friday // Date Nights, Deliciousness, Deals, Daughter Time, & More! Five Loves on Friday // Date Nights, Deliciousness, Deals, Daughter Time, & More! Happy Friday, friends! I hope you've all enjoyed a lovely week! We were on Spring Break this week, so while the weather may not have always been beautiful, the week absolutely was! I'm looking forward to sharing the highlights of it with you all now! One // Two Date Nights in a Week! The girls kicked off Spring Break last Friday night with a sleepover at my parents' house. Their evening began with a festive tradition, coloring and decorating Easter eggs! Little One decorated an egg in her own likeness. The bottom pics show the front and back (complete with hair bow) of the last egg we'll want to crack. Afterward, they settled in for a pizza party movie night. Jason and I originally had similar plans, sans the eggs. We thought we'd rent a movie at Redbox and order a Thai Pie, an old favorite we hadn't had in ages. The night took a complete U-turn when we found out the movie wasn't available at any Redbox in our city and the Sam & Louie's Pizza Restaurant nearest to us recently closed down. Plans scrapped, we decided to pick up scrumptious sandwiches from Firehouse Subs to take out to the lake. We chowed, chatted, and listened to a favorite podcast while watching the wildlife splashing upon the lake. Afterward, we returned home and watched some things on our Hulu queue and dug into dessert! 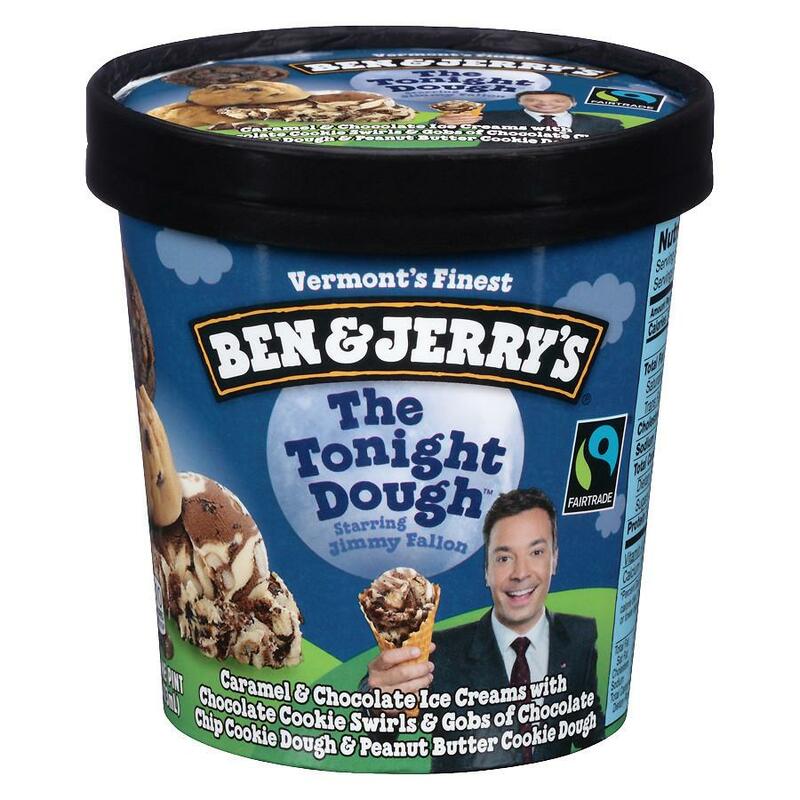 My all-time favorite ice cream, Ben & Jerry's The Tonight Dough! It was a "sweet" night for all! The girls left Monday morning to stay with Jason's parents through Tuesday afternoon. They packed so much family time and friend fun into those two days! The morning was spent visiting the girls' sweet great grandma. Later, my in-laws' neighbors (who have girls my daughters' ages) invited them all over for dinner and a game night which was an absolute ball for all! The following day they went to my sister-in-law's home and enjoyed some cousin time! For Date Night #2 of the week, my incredible hubby went out of his way to the next nearest Sam & Louie's (about a half an hour from home) to quench the craving for what we'd missed out on in the aforementioned date night! Thai Pie // Thai peanut sauce, grilled chicken, broccoli, and mozzarella - sooo good! Thai Pie with my guy was a definite win! 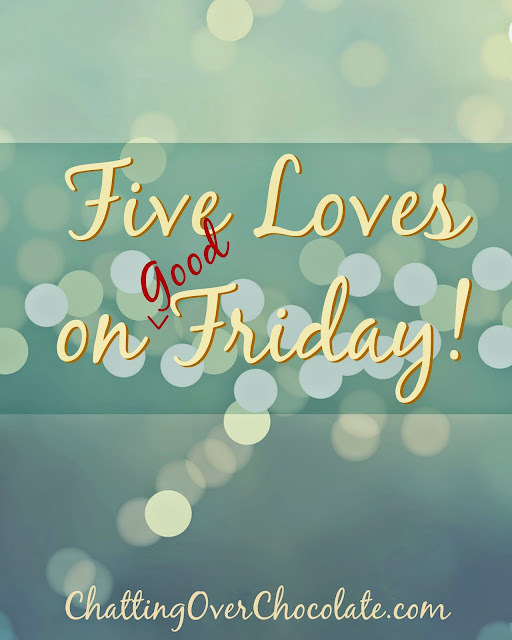 Funny Confession Time: I didn't get a good photo of this deliciousness this week so I googled my own blog for a pic from the past and found the one above from a Five Loves on Friday post from the week of Easter last year! Ha! I guess this time each year we feel the need for this particular pizza perfection! As a full time homemaker/stay at home mom/homeschool teacher I have very little "free time" alone. I literally cannot remember the last time I was home alone for an entire day. (Please do not read that as a complaint. I am living my dream and loving every minute of it!) On this rare day, I had absolutely no obligations. All housework was done. There was nothing and no one who needed tending to in any way. Every minute of that morning and afternoon were a blank page on my planner. Any guesses what I decided to do with my free day? First, I took a nice long shower and indulged in a bit more pampering than the average weekday morning allows for. Then, I went on to indulge in a day of refreshing relaxation. I had a chick flick marathon! Cozy in lounge clothes, favorite blanket at the ready, I ate and watched my way through the morning and early afternoon. It was gloriously lazy and I'm totally okay with that. PS: That's a grilled cheese with the mountain of waffle fries. It was a cheesy day, the best kind in my book! PPS: I always make ketchup hearts. Jason finds it funny, but I say, "It's the little things." I filled the afternoon with some of my favorite things - sending out snail mail, crafting some special gifts for my girlies, and cracking open a brand new book. It was such a splendid day and I'm pleased with how it played out! If you were to find a full free day on your planner, all housework completed and every box on your to do list was checked, how would you spend it? I'd love to hear in the comment section below! 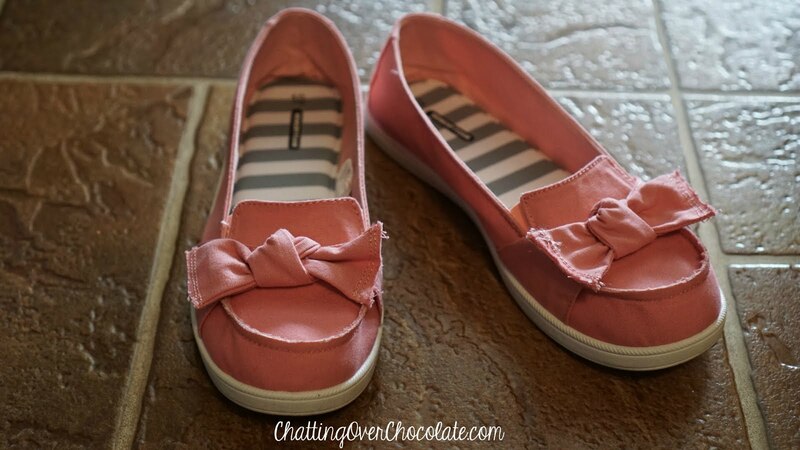 Three // Sweet Shoes for Under $10! I couldn't love these shoes any more than I do! They are absolutely adorable (even cuter in person) and they were only $9.94! They have memory foam footbeds which adds a bit of extra comfort as well. Psst... don't tell the folks at Walmart, but if I'd seen these for $40 elsewhere I wouldn't have thought twice about buying them! They are also available in denim. I'm considering going back for more! I spotted this under my recommended videos in YouTube this week and was so glad I hit play. I love thinking about the sovereignty of God! Hearing this brief message was a fantastic reminder of what is often overlooked as we go about our days. It did my heart good and I can't resist sharing in case it may have a positive impact on the way you view your own plans going awry, which inevitably happens to us all now and then. Years ago my oldest daughter and I began a tradition that we still enjoy today. Each month on the date of her birth, the 29th, we stay up late for a girls night. Last night we headed out for a bit of shopping, came home with some snacks, and settled in for an evening of binge watching episodes of Disney's Backstage on Netflix. Simple, yet sweet one-on-one time with her is a date I'm always delighted to keep! That is the GOOD news of Good Friday! Wishing you a lovely Easter, and more importantly, a forgiven one through the finished work of Christ, our risen Savior! Oh sweet friend you made the most of such sweet week! First and foremast, I am so happy your got a day to just do sweet you!! LOVE those cute bow moccasins ad what a deal! Also three cheers for great date nights with your man. My that brisket and Thai Pie is liking mighty good!! Your mom daughter tradition warms my heart and she will treasure these times with mom. Their eggs are darling and Happy Easter to you all!!! This is a GOOD Friday indeed, espeically when I get to read how awesomely you are are doing and loving life!! HUGS! Two date nights in a week sounds amazing, what a nice treat! And how nice that your husband went out of his way to get that pizza. It does look good! And a day to yourself also sounds so nice! Those days are rare for me to so I try to soak them up as well! Have a happy Easter! Such an awesome week with your loves. I love that you have had a date night for so long....the recent addition with my oldest has been such a huge deal for us. I'd love to know what podcast you guys listened to as that is my recent obsession. :) And I would spend a day exactly as you did if I found myself all caught up! I'm thinking I need a mental health day from work soon...trying to schedule that in has been tricky. Hope you have a super Easter with your family Brenda. And thanks for linking with The Blended Blog! Those little bow shoes are so cute!! What a great price, too. I absolutely love all the delicious food you've enjoyed too - now I'm craving a sub for lunch!! Have a happy Easter! Looks like you've had a fantastic week filled with all sorts of loveliness! <3 Special family time, cheesy goodness by way of snacks, lunch, AND Hallmark--the BEST kind in my book! Those shoes are SUPER cute and I actually had my eye on the denim ones yesterday as well! Love it! And love YOU! I have never had Thai pizza before, but it looks YUMMY. I wonder if there is a place around here that has it. 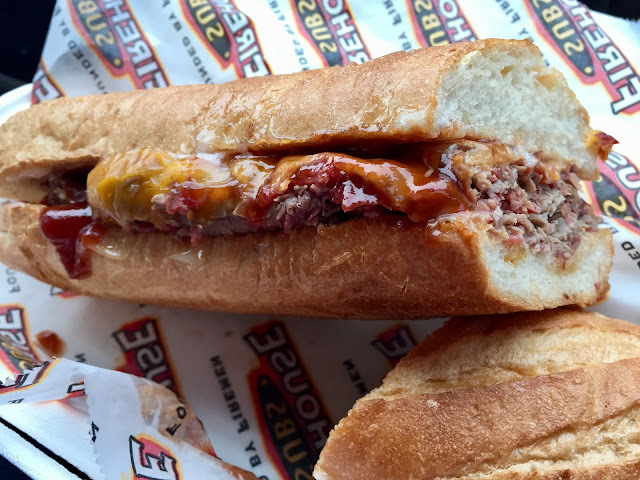 Oh, and I love Firehouse Subs! My daughter doesn't, so it is always hard to go there with one family member that doesn't want to go! Boo! I love your little date nights with your hubby! So sweet! Keep sharing them. :) A chick flick day sounds nice! And, I didn't know you homeschooled! Have a wonderful Easter! What wonderful date nights you had! And so fun for the girls to have sleepovers. I love those shoes too! THose shoes are so cute! Being home alone can be such a fun time and nice little break :) Happy Easter! Those shoes are adorable! And yay for some kid-less time!! Ok, you make me hungry and want to go dye some easter eggs :P Hope you all have a wonderful Easter! You are super lucky to have two date nights in a week! My husband and I aim for one a month! LOL! And what delicious food. That Thai Pie!!! 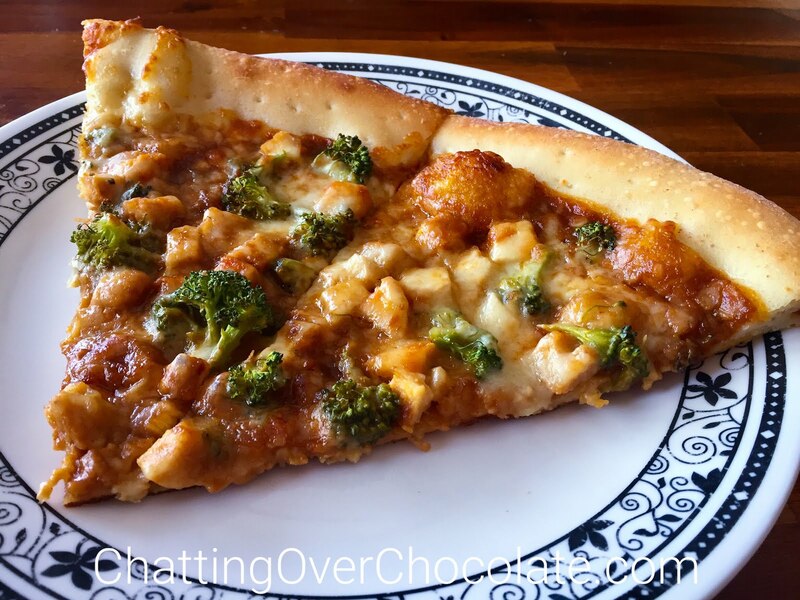 I love thai Chicken pizza. I love your day of self-care. That sounds like such a fun day, eating all the foods and watching movies on the couch. Happy Easter!! 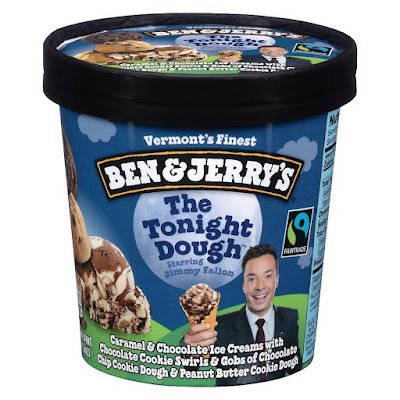 Your date nights sound so sweet! What a doll your hubby is to drive out of his way to get you that yummy pizza! I love a good Hallmark movie- sounds like the perfect day to have a marathon of them! Oh, this made me smile and was such an uplifting post. So glad you had some "me time." It's always so good to have those times and it's rejuvenating physically and mentally. Blessings abundant for a glorious Easter!